It’s funny. 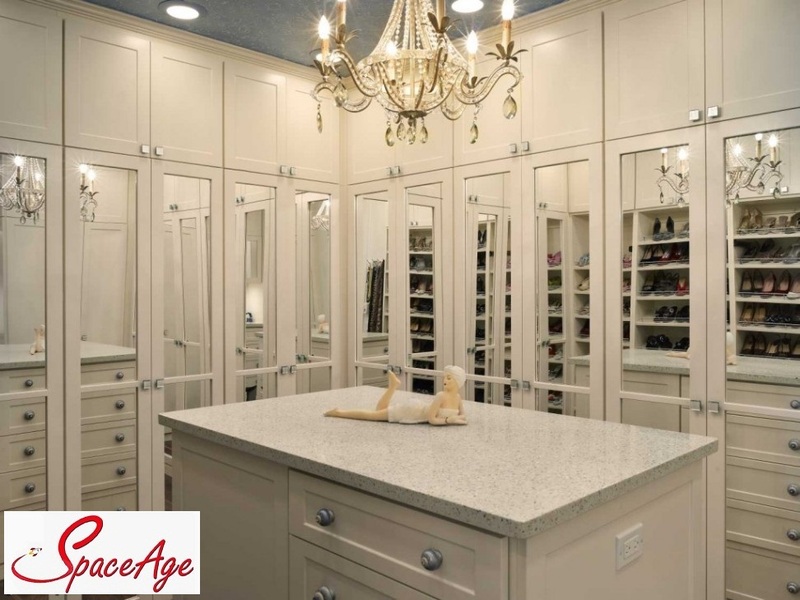 We often install some fantastic reach-in closet and walk-in closets. Sometimes we are installing closets in new spaces and sometimes in older homes. What they all seem to have in common is lighting that really needs updating as well. The lighting needs are not just for making your wardrobes more visible but also help getting yourself dressed in the morning or for that hot date in the evening. Here are some examples of what you might consider for making your closet more visible. Cove lighting is a great way of using light in a different mode. Installing lights behind a moulding and turning the lights upwards towards the ceiling bounces the light off of the ceiling and illuminates the room indirectly. This was originally pioneered decades ago by Frank Lloyd Wright. This works great in tall ceiling-ed rooms but can also help with shorter walls as well. You’d be surprised how a less-cluttered closet allows light to illuminate the space better. Consider as well painting your closet a bright colour. White after all is nice but why not something to match your personality say…. RED or maybe purple, my sister’s favourite colour. Sensor lighting is great for smaller closets as well as larger closets and operate efficiently by the opening and closing of your closet door. Although a lot of people use fluorescent lighting in their homes, I find they give an unnatural glow to most clothes. LED’s are all the rage at the moment and they are quite bright and efficient in their electrical-usage. Halogens also produce a bright, sun-like light that is very helpful with illuminating your clothing to the proper hues. If you’re doing renovations in your home, there are a few more drastic thoughts you should perhaps consider. Adding a window in a closet can help greatly if the closet is on an outside wall. Another thought is the use of solar tubes. Their reflective surface redirects sunlight down a metallic tube basically bringing sunlight into that space. It’s ironic that closets are usually the last thing that most folks update. Considering how much clothing costs nowadays, it should be thought of as a very judicious and in the long run, economical way of organizing and storing your clothes.